Welcome to Kyrat, the setting for Far Cry 4. Set in the Himalayan mountains, players will experience a wide variety landscapes to see and activities to complete. But what can they experience with a friend? Here's our FAQ. How many players can play Far Cry 4 locally (couch co-op)? How many players can play Far Cry 4 via system link or LAN? How many players can play Far Cry 4 online? 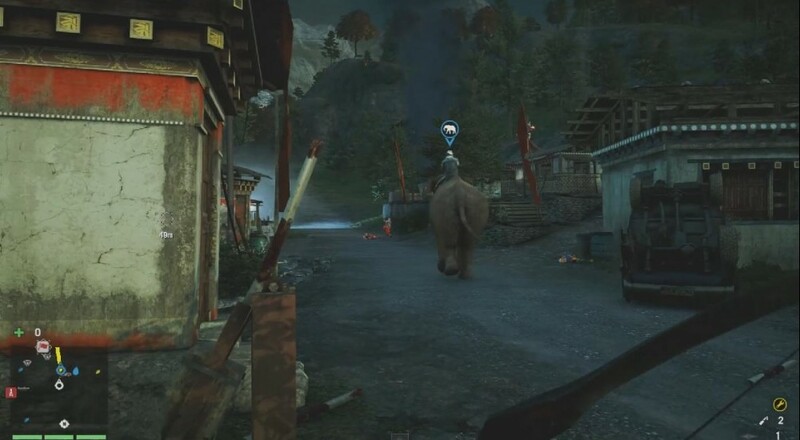 How do you begin a co-op session in Far Cry 4? 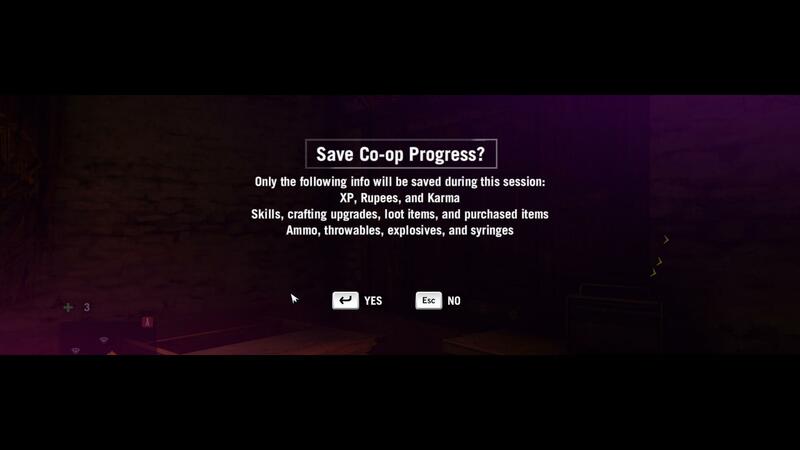 How does save game progress work for co-op play in Far Cry 4? Can I join a game if the host is further along than me in Far Cry 4? What does the Far Cry 4 season pass get you? How does the Keys to Kyrat work on PlayStation 4 in Far Cry 4? What activities are available in Far Cry 4 for co-op players? Can I play the campaign in Far Cry 4 during co-op play? Far Cry 4 doesn't support couch co-op play. LAN play isn't supported. You'll need to be connected online and to UPlay (even on console) to connect. Two players can play Far Cry 4 online. The second player controls a character named Hurk. Co-Op begins about 90 minutes into the story, once you complete Act 1 and open up the world. From there you can look for co-op markers on the map (marked with an H). Alternatively you can pull up the in game menu at anytime and select co-op, choose to invite a friend, open your game to anyone or try match making to join someone else. All progress is saved to the host player, though since you can't actually play the campaign and certain side missions, you will only be retaining complete outposts, assassination and tower unlocks. The second player takes back with them any experience, guns, skills, ammo, and cash they earn along the way. Yes, progression does not matter. There are five packs of content in Far Cry 4's season pass. Two of which actually offer co-op content. Escape from Durgesh Prison Team up with a friend to escape Yuma’s prison after being locked up and tortured. Fun stuff. Hurk Deluxe Pack More harpooning. More explosions. More Hurk. More awesome. Get access to five missions starring Hurk, including Yak Farm, Blood Ruby and Hurk’s Redemption. We just love this crazy country boy so much. Overrun Play as either the Rakshasa or the Golden Path in this new PvP multiplayer mode. Capture territory around Kyrat and stop that territory from being taken by your enemies. A code is included with the game that you need to redeem on the PlayStation store. Once you do that, launch Far Cry 4 and select Keys to Kyrat from the main menu. From there you can choose friends to receive the keys. They'll receive a message that instructs them to download the Far Cry 4 demo. Once they actually play a clock will let them know how much time they have left on the two hour limit to play co-op with a friend. While you won't be able to play the main story or some of the side missions, including some of the hostage rescues, you can take on numerous activities with friends in Far Cry 4. This includes simply exploring the open world of Kyrat. Outposts - Players can take over twenty four outposts with a friends, claiming them for their main game. Assassinations - There are special stealth missions to assassinate targets, these can be played in co-op. Radio Towers - Radio towers can be captured by co-op players, which works well because some of these turn into a wave based survival style mission. No, you can not play the single player story missions during co-op play in Far Cry 4. Page created in 0.2544 seconds.